It's been a lively year for Ashley Tisdale's beauty career. Two years ago, the former Disney channel icon delved into the makeup space by launching a capsule collection for BH Cosmetics called Illuminate. 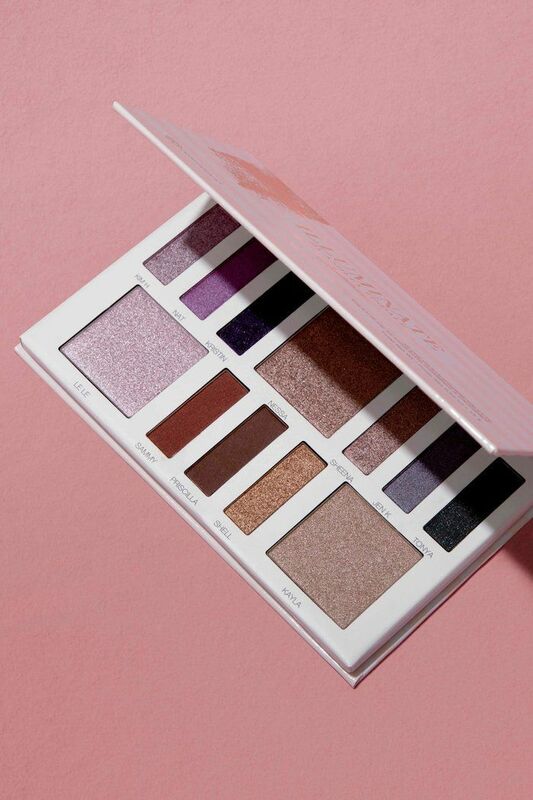 The line featured a range of user-friendly, multi-use palettes containing everything from eye shadow, blush, bronzer, and highlighter to lip-and-cheek tints—all priced reasonably from $7 to $12. Most celebrities who dabble in the beauty industry probably would have stopped there. But inspired by mid-2000s Hollywood beauty moguls like Jessicas both Simpson and Alba, the performer decided to take it one step further. 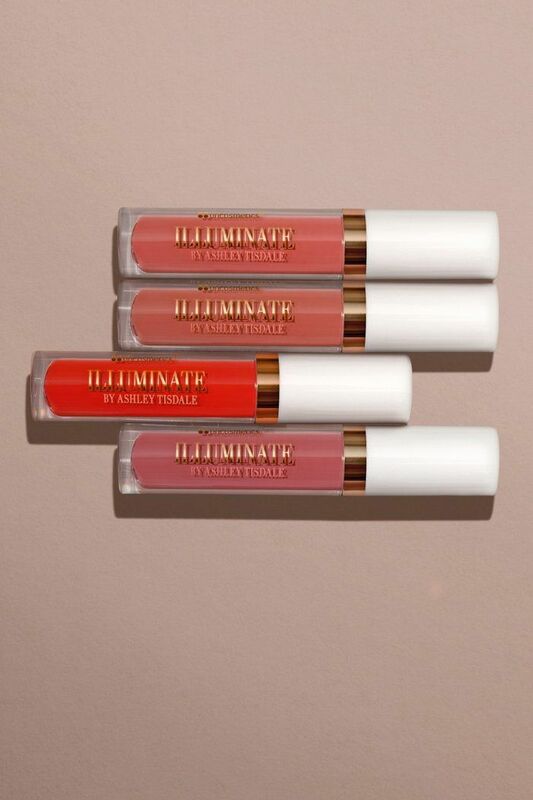 This past year, Tisdale acquired Illuminate Cosmetics, taking over as CEO. Tisdale was inspired to gain full control of the brand vision by the women who were buying her Illuminate products—women who were "just like me," Tisdale says, in that they were makeup lovers who wanted something in between a professional-level makeup kit and the minimal routine of a Glossier girl. Tisdale wanted to cater personally and directly to those consumers. Beauty business ownership is a tricky beast, and Tisdale has put in countless hours into fundraising, reformulating, and coming up with a new website and new product launches, which will hit the brand website in 2019. "We're considered a startup," Tisdale tells Byrdie. "This is obviously not easy, but it's so exciting." Meanwhile, she continues to expand her music career. A new single from her upcoming album, Symptoms, will be available November 8. Again, she's had a busy year. Tisdale was able to squeeze us in for a quick chat to talk all things makeup—from what to expect from Illuminate 2.0 to her favorite product hacks to her cringiest past makeup moment. Keep scrolling to read what Tisdale had to say. "Since I first launched with BH Cosmetics, I have taken over the company, which has been very exciting and scary. I hired my creative director, who was actually the creative director of Sephora, and she helped launch Glossier, so she's been amazing. BH was a great partner, but in the past when I was paired up with them, there was a lot of stuff that I wasn't able to be 100% the decider on. Obviously, owning your own company, it's like a piece of me. We're doing everything from rebranding to reformulating. A lot of our reviews were already about how great the formulas are for the price, but we're making the formulas even better, higher quality, better pigmentation. We've been developing products this whole past year. But taking over your own company is definitely a lot. I've learned a ton. It's obviously not easy being a CEO. This isn't something I've just slapped my name on." "Since I was younger, I definitely had a sense of wanting to own a company. I always was very inspired by people like Jessica Alba. I feel like the reason I took this brand over was because of an empty space in the market. A lot of makeup brands right now are putting out products that are overwhelming and professional—palettes with 30 eye shadows. If you were to give me 30 eye shadows, I would not know what to do with it. Then on the other hand, you have Glossier, which is all about loving your skin. But there's this in-between that was missing for the everyday girl who loves makeup but doesn't really know how to do cream contour, which isn't something I know how to do either. What we're developing now is really curated for people who want beauty made simple. We say 'beauty your way.' This is why I took over the brand—because I started seeing the girls who were wearing my makeup and tagging the brand. They were girls just like me. Like, I love to do my own makeup for events, but I get overwhelmed by too many products." "I think the new Illuminate products are pretty epic. So far we've had three palettes, cream cheek-and-lip tints, lip glosses, liquid lipsticks, and highlighters. And our makeup brushes are a big thing for us. We sold out of our first makeup brushes in under four hours when they launched, so that was obviously something I wanted to do again and to elevate. So we'll be coming out with more makeup brushes as well as a full collection. We're not doing foundation yet. That's a big undertaking. But we're expanding into more makeup. I can't say exactly what the products are but will be launching in the new year. 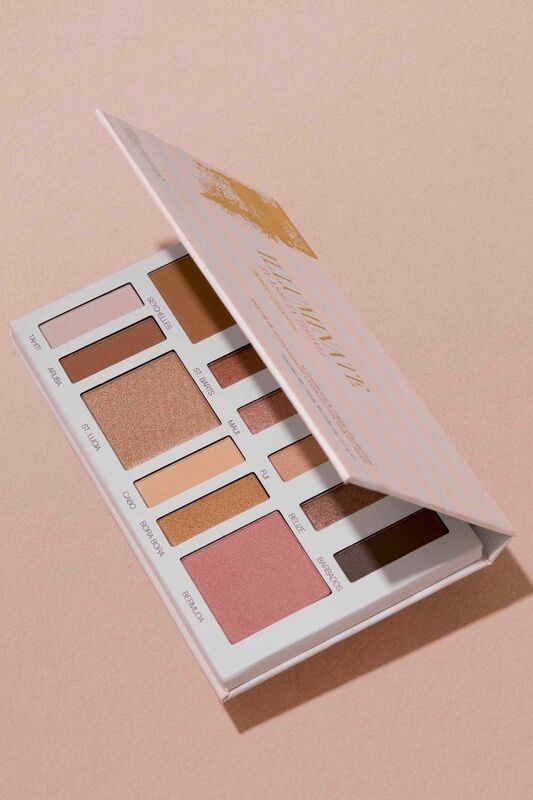 And we still have our best sellers at IlluminateCosmetics.com, but those are limited because that's the stuff we created with BH, so once the Goddess palettes are sold out, they're definitely sold out." "I just recently went on vacation to Tulum, and I brought my Beach Goddess palette, which has eye shadows, highlighter, contour, and blush in it. I love to travel with it because it's so easy and simple. But I was so bummed because while I was traveling I broke my eye pencil. And eyebrows are literally the most important thing on your face because they really help define everything. But my little hack is that there's a dark-brown eye shadow in the Beach Goddess palette, and I just took my makeup brush and was able to fill in my eyebrows perfectly. "When I was younger, I was very structured with makeup. If something was labeled blush, it stayed blush. But what I've realized is that you can use all of those colors to do whatever you want. 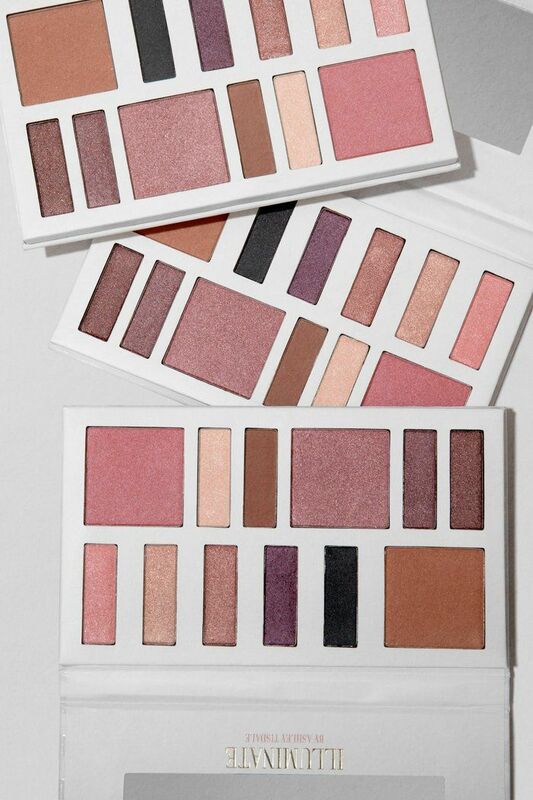 You can use blush on your eyes; you can use highlight and contour on your eyes. One of my favorite ways to get ready for the day when I don't want to do a full face of makeup is I'll take my contour powder color and smoke it out on my eyes and under my lash line, do a little bit on my cheekbones, and I'm ready to go. It's just about learning that makeup doesn't have to always be so structured." "I definitely have one specific look for sure that I will always remember from eighth grade because my dad made so much fun of me. I was really young and didn't know how to do my makeup and just loved to go down the drugstore aisle and find fun colors. I remember getting a Wet n Wild blue—bright blue—and putting that all over my eyes for school. I think I had a blue liner on top of it as well. Just too much blue. I think I had a bright pink lip with it, too, which made it worse. I was real quirky at that age. I think I had a Teletubbies backpack in eight grade and thought I was a really cute, fun chick. But my family was just like, what are you doing? I was just really experimenting and trying to figure it out. But it was not right. Clown makeup. Not cute. I do love an indigo blue now, like in a subtle liner. You just have to learn how to use it properly." Shop Illuminate 2.0 before it goes out of stock! Next: Check out our exclusive interview with Kiernan Shipka.